This unique cross box has a wooden base with a functional drawer that opens. Store a rosary or any small precious item to remember your special day. 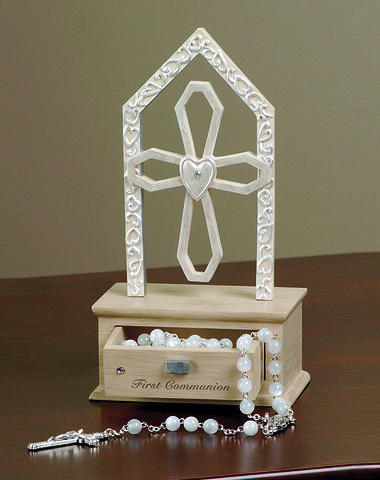 The die-cut cross at the top has silver accents and is embellished with a crystal on the heart center.